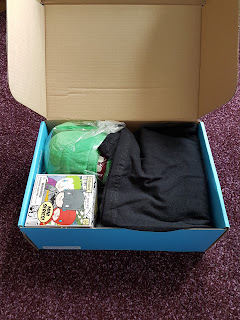 The morning of the Geek box's arrival I was impressed that I 'd heard from the postage company (in this case royal mail) and had a tracker to track my item. Although at the time I was baffled as to why I was getting an email from ' The Hut ' as I couldn't remember buying anything from them. 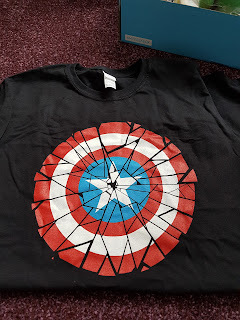 The first thing out of the box was the Captain America T-shirt. Which the sizing was very generous. The second and third thing out the box was a slimer cuddly toy and a little figure. 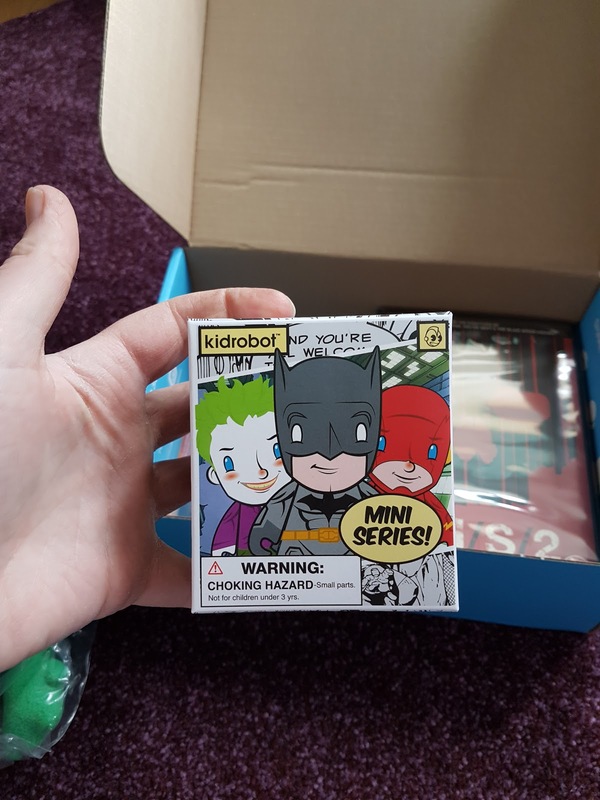 I received Groot in mine. 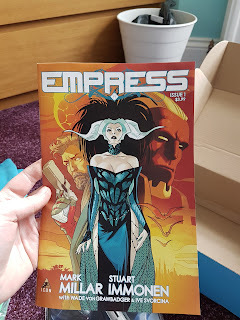 An Issue one Empress graphic novel - personally I've not heard of Empress, so this did not impress me much. A Doctor Who pen, where you can write on a piece of paper with invisible pen and then change it to the blue light which hid the writing unless it had the blue/UV light shining on it. 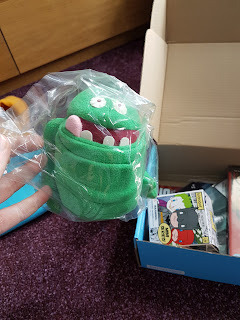 The last thing I received in the box was an 18 Horror DVD. 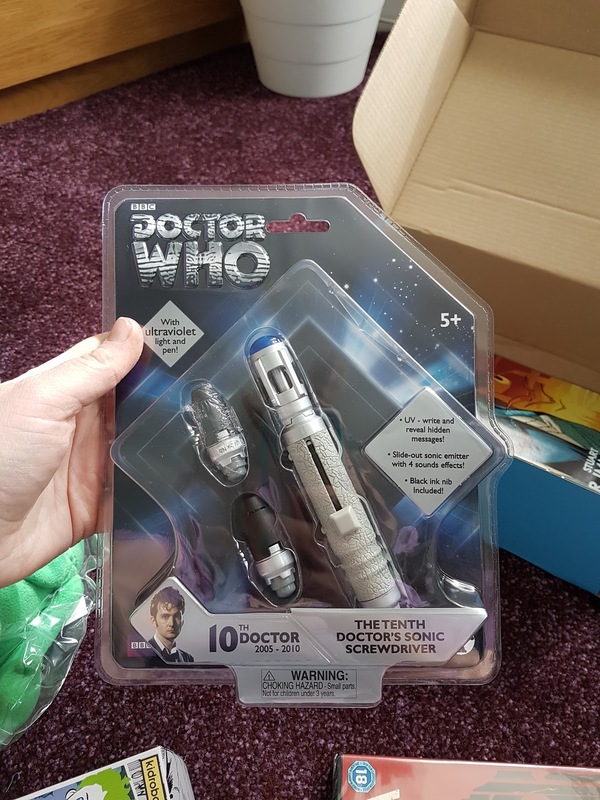 This did not go down well with me as I couldn't understand what this had to do with with anything else in the box. I found this to be a little offensive to as I do not like horror stories or movies. 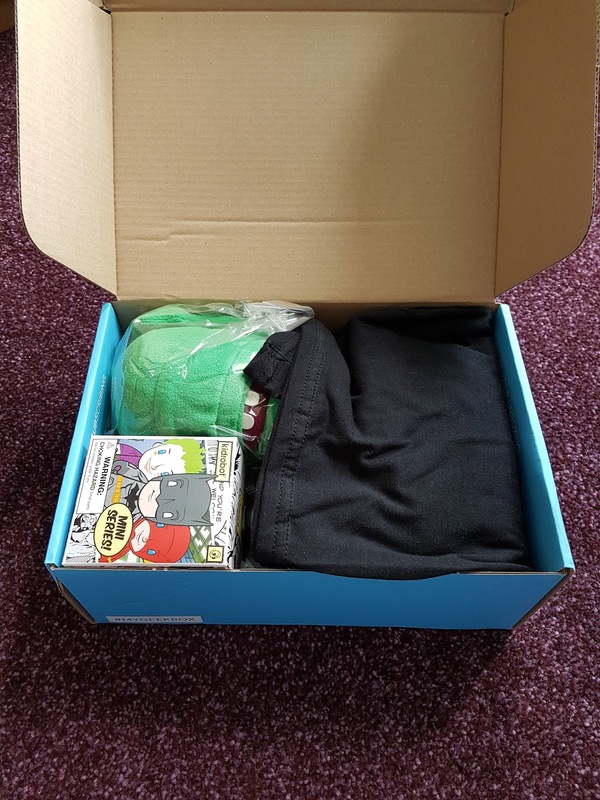 Overall I didn't like this box due to nothing tying in together. To me it felt like they had gone around the shelves of the storage warehouse and just dumped 6 items that were left over in the box. Nothing made sense or linked together in any way. I'm afraid to say in this case this will be the first and last box that I purchase from Geek Box.